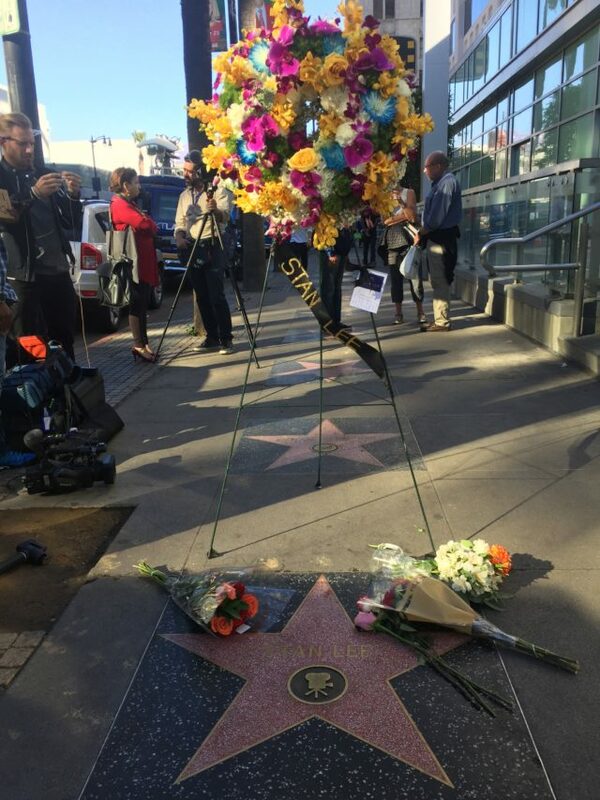 FLOWERS were placed on the Hollywood Walk of Fame star of Stan Lee as the world mourned Marvel’s co-creator following his death aged 95. 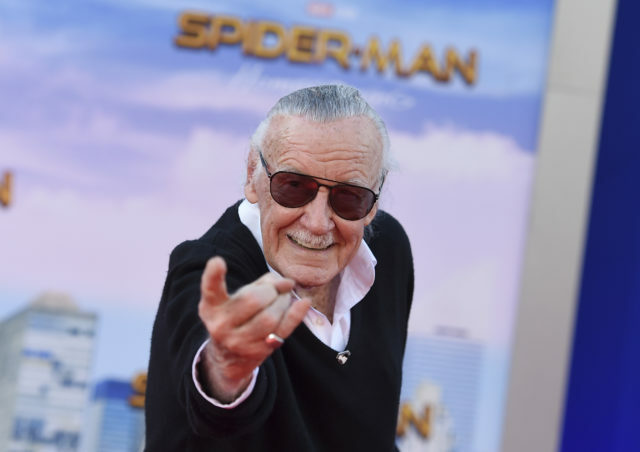 Lee, whose death was confirmed by a family lawyer on Monday, created enduring superheroes including Spider-Man, The Fantastic Four and The Incredible Hulk. His characters have since left the comic book pages and have grown into multi-billion dollar Hollywood franchises. Hours after his death was announced, fans, some wearing T-shirts bearing his most famous creations, flocked to Lee’s Walk of Fame star on Hollywood Boulevard to pay tribute. Many left flowers while a Spider-Man comic book was also placed on the ground. 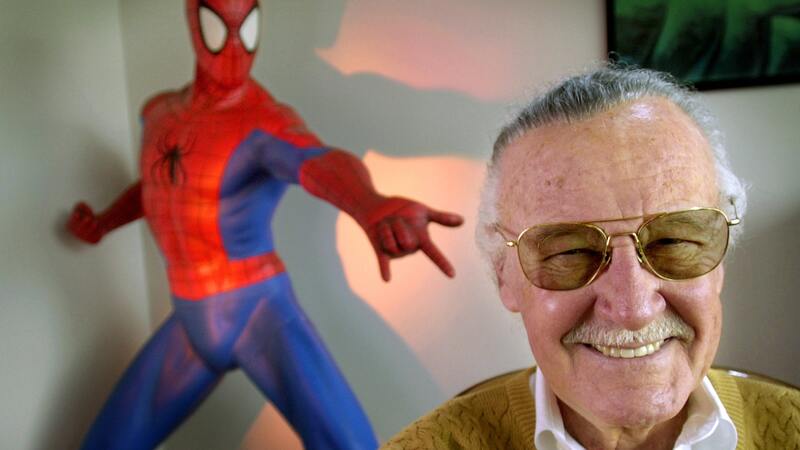 Marvel paid tribute to Lee, calling him the “creator, voice and champion” of the company. A statement on their website said: “Today, Marvel Comics and The Walt Disney Company pause and reflect with great sadness on the passing of Marvel Chairman Emeritus, Stan Lee. Bob Iger, chairman and chief executive of The Walt Disney Company, which owns Marvel, said: “Stan Lee was as extraordinary as the characters he created. “A super hero in his own right to Marvel fans around the world, Stan had the power to inspire, to entertain, and to connect. Hollywood stars who have appeared in franchises featuring Lee’s creations were also among those to join the outpouring of grief around the world. Hugh Jackman, who starred as Wolverine in various X-Men movies, shared a picture of himself with his arm around Lee. British actor and Spider-Man star Tom Holland said on Instagram: “How many millions of us are indebted to this guy, none more so than me. Lee, who founded Marvel Comics with Jack Kirby in 1961, helped create some of the comic world’s most revered superheroes. Spider-Man, Iron Man, the Hulk, X-Men, Black Panther, Daredevil and The Avengers were just some of Marvel’s famous creations. In recent years the Marvel brand expanded into Hollywood, creating a multibillion-dollar film franchise. Lee was known for making brief cameo appearances in Marvel universe films. The cause of Lee’s death is not known, but earlier this year it was disclosed that he was fighting a bout of pneumonia. Lee’s wife Joan died in 2017 and he is survived by his daughter Joan Celia “JC” Lee.